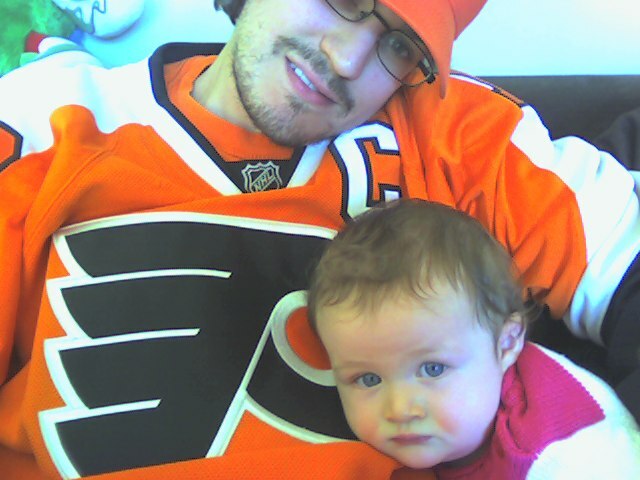 This entry was posted in Philly Sports, The Flyers and tagged babies, drop the puck, Flyers, NBC, playoffs. Bookmark the permalink. Yeah, that’s my daughter. She likes watching games with me, but she hates commercials, just like me.